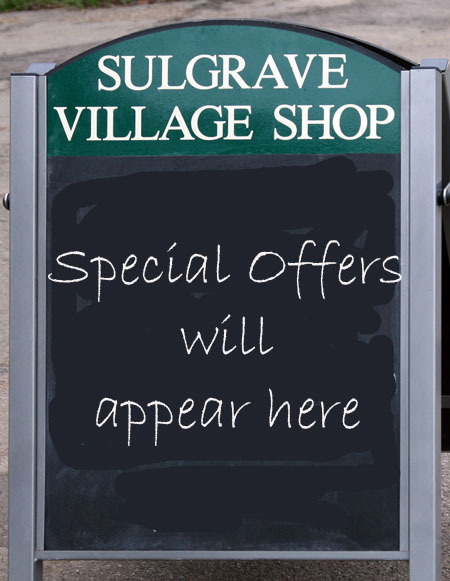 It has been suggested that many people who use the village community shop would find it useful to have a quick online reference to special offers available at the shop on a daily basis. To this end a new page is being added to the website entitled “TODAY AT THE SHOP”. This can be seen on the right hand side of the home page and clicking on to it will access a link to a facsimile of the shop’s advertising board showing special offers available on that day. Other information will be added as appropriate. An empty board will mean that the website editor is away (rare), that there are no special items (very rare), that the shop is shut (even more rare)! This entry was posted on Wednesday, May 5th, 2010 at 8:31 am	and is filed under News. You can follow any responses to this entry through the RSS 2.0 feed. You can leave a response, or trackback from your own site.